Valid will be at the Mobile World Congress (MWC 2018), the largest event in the mobile technology sector, showcasing its solutions in the Internet of Things (IoT), mobile banking, and embedded SIM Cards (eUICC). This strategy conveys the company’s new visual identity as a global provider of services for the Digital Age and for Connected Life. 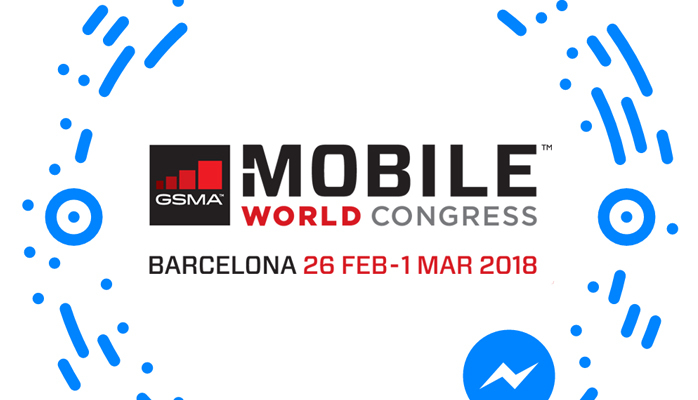 MWC 2018 will be happening from February 26 through March 1, in Barcelona, Spain. Valid will also be announcing one more global partnership at the event. Together with Skymond Mobile, a global provider of connectivity solutions for the broadcasting industry, the company will be offering eUICC technology, considered as the evolution of the SIM card, to enhance the quality of service offered by digital media companies and broadcasters. The MWC will also be an opportunity for Valid to present products and services for mobile operators, banks, IoT service providers, and device manufacturers for clients and for industry. At stand 6H41, Hall 6, attendees will be able to learn about products such as eReach, a remote network subscription management platform, which will be demonstrated this year as one of two case studies on the use of the eUICC: in the automotive and broadcasting sectors, proving that the eSIM ecosystem is suitable and advantageous for a broad change of IoT applications. MWC 2018 is also a space for discussing the most relevant topics and trends in the sector. Salvador Cabrera, Valid’s Chief Commercial Officer of Payment and Mobile Solutions for Asia, Europe, and Africa, will be discussing the challenges of the eSIM in the “Panel Session: eSIM – When the Industry goes Digital – The strategic challenges of transition management,” which will be held on February 28. This is Valid’s debut in a panel at the event, and it is expected to highlight the company as a major global player. The purpose put forth by Valid, which operates in the areas of Identification, Payment Solutions, Mobile, and Digital Certification, is to participate even more actively in the “age of connected life.” “We want to help bring our clients’ innovative ideas to life, creating or improving on their strategies, their products, and services. And the Mobile World Congress is the ideal space for us to present our secure, integrated, and customized solutions in line with the challenges and needs of each client,” observes Carlos Affonso D’Albuquerque, Valid’s Global CEO. Valid’s stand: 6H41, Hall 6. Time: 5:00 – 5:50 p.m. Valid (BM&FBOVESPA: VLID3 ON) is a global company with more than 60 years on the market and a broad portfolio of security-related technological solutions for the financial and banking markets, as well as in mobile telephony, identification of persons, objects and transactions, data management, Internet of Things (IoT) and Track & Trace. Valid has more than 6,000 employees and a presence in 16 countries; it had a revenue of R$ 1.7 billion in 2016. Today, the company has more than a 60% share in the market for the issuance of identification documents in Brazil, it is the fifth-largest producer of SIM Cards in the world, and is among the world’s ten largest manufacturers of banking cards. Valid’s services take into account the particularities of each region and culture to create personalized and integrated solutions for its clients.